because of the variation in the natural materials. Some pieces of slate can be as thick as 3/4th of a inch while other pieces are only 1/8th of a inch. So when installing this beautiful material it is required to start installing the thickest pieces first then build up with thinset the thinner pieces to make your installation flat and flush. 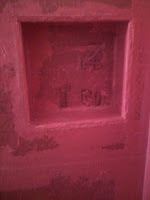 As well as being different thicknesses, the slate is also different sizes in square dimension. It is very imperative that you use care and patience to space and keep your lines as straight as possible. Natural slate tile is one of the most color variant material I install. I often refer to it as rainbow slate because of the wonderful color variation in the material. In my 30 year career I've repaired and seen hundreds of showers that had water damage both inside the shower and inside the wall. 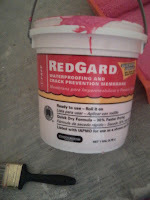 Many times the mildew had eaten away at the wood studs in the wall and caused the grout to turn black from the inside out causing costly repairs and complete tear outs to redo the wood studs.In severe cases mildew can be dangerous to the health of the elderly and the very young. The following "how to" will explain the most economical "ultimate shower waterproofing " technique to insure a "never leak shower" and insure a "no mildew" tile installation. There are other options out there but this is by far the most economical sure fire way to know you will never allow water to penetrate your shower walls. I am currently working on this job in Byfield mass. 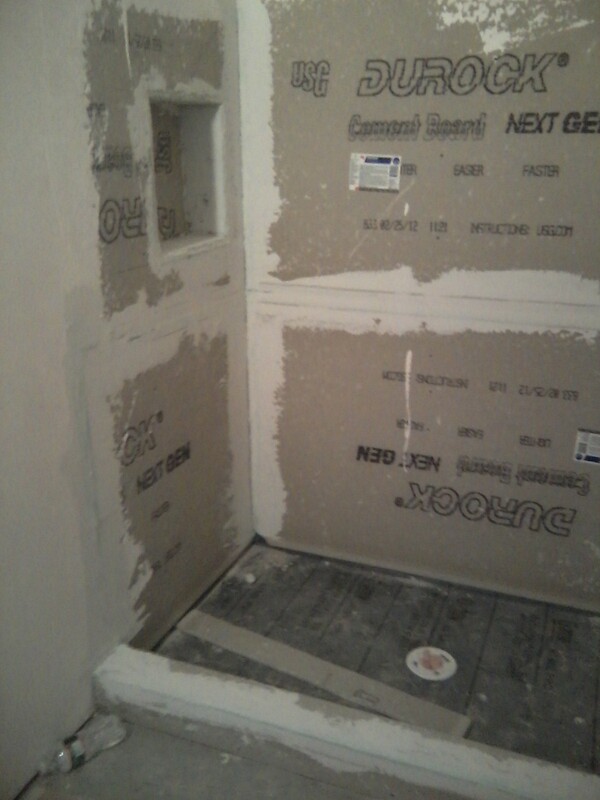 and all the walls and floors will be slate and marble finished.The contractor on the job was responsible for installing all the backer board and The contractor used durock on all the inside shower walls not Hardy board as I would have preferred. ( see my blog "hardy board vs Durock) When the home buyer called me to get a estimate he voiced great concern about waterproofing his shower walls so as not to have mildew or water damage in his shower walls ever. 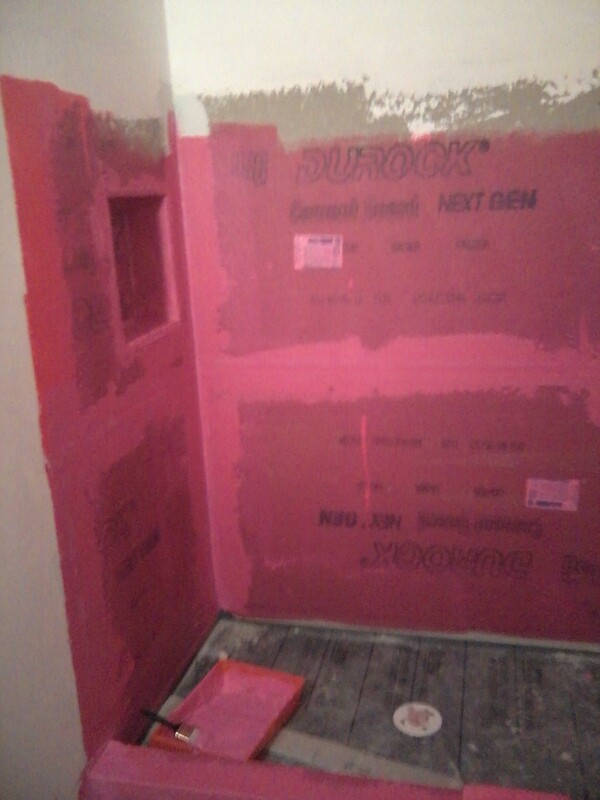 Since durock was already installed in all the showers and not hardy board it was required to completely seal every sq inch of the shower walls as well as seal all joints to insure no water ever got to the wood studs in the wall. 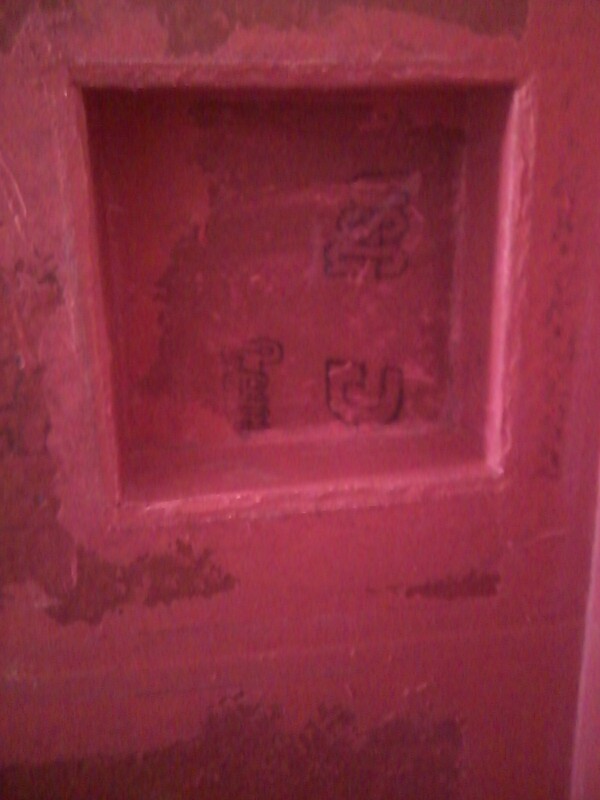 The first step was to use "silicone II" to seal every seam of the durock including all corners being careful to smooth out all caulk to insure a clean glob free seal. 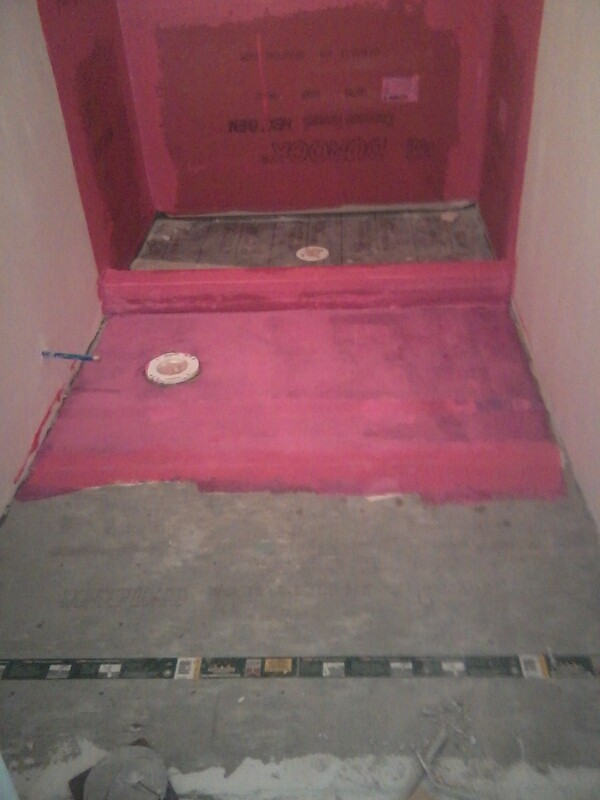 Step 2 all the joints were taped with anti crack fiberglass backer board tape and skimmed with superflex thinset to insure no cracks form over the years. 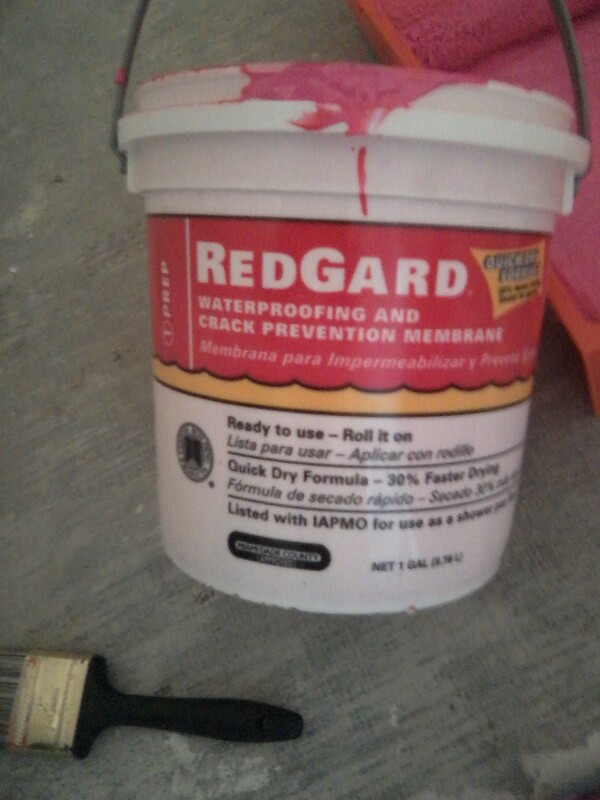 The third and final step was 2 coats of "Redgard"anti crack paint on waterproofer one coat rolled on horizontally and one coat vertically .All corners are painted with a brush to insure proper sealing.There were as well inset soap boxes framed into the wall that were also caulked and then painted with the regard to complete the sealing process. 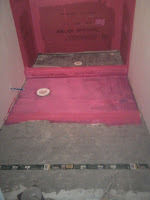 The tile can now be installed in the showers with no worry of leakage or wood rotting for a lifetime of leak free showering !